Saving for retirement is an important part of any career. Whether through 401k accounts, pensions or private bank accounts, many people start saving as soon as they begin working. However, often people are unable to save as much for the future as they'd like to because of financial restrictions in the present. A recent ProOpinon poll looked at the common reasons that business professionals struggle to properly save for retirement. The most popular reason that people chose was that they didn't make enough money to save optimally. Among the professionals surveyed by ProOpinion, 44 percent said that they didn't make enough to put away as much money as they'd like to for retirement. According to the U.S. Bureau of Labor Statistics, the average annual wage is about $47,000. Among business professionals the average annual incomes are typically higher. "44% professionals don't make enough money to save properly." While a plurality of the professionals surveyed answered that they didn't make enough money to optimally save for retirement, others explained that their monthly expenses were too high. About 15 percent said they couldn't properly save for retirement because of how much they paid for rent or their mortgage. Another roughly 15 percent of the business professionals said that credit card bills were a contributing factor to why they couldn't save as much for retirement as they wanted to. In 2012, CNN Money reported that the average U.S. household has about $15,000 in credit card debt. These monthly payments on an average debt could act as a major inhibitor for anyone trying to save for retirement. While credit card debt is a significant weight on many Americans, about 9 percent of the business professionals who were polled pointed to another popular form of debt that prevents them from saving in the best possible way for retirement: Student loans. Student loan debt has been growing over the years. Younger professionals are likely to be more affected by student loans than their more senior counterparts. U.S. News & World Report reported that the class of 2013 graduated with an average of $30,000 in debt. According to the ProOpinion Survey, about 16 percent of professionals pointed to "other," as the reason they couldn't save optimally. Saving for retirement can pay off in the long run. Although these factors can inhibit any business professional's ability to save for his or her retirement, it isn't the only factor to protecting your future financial health. You can use these retirement savings tips to maximize whatever money you are able to put away each month. ​One of the keys to having a useful retirement savings by the time that you need it is to start as early as possible. Many young professionals may be eager to buy a house or a new car, but spending conservatively early on and putting away as much money as possible will allow for you to reap the maximum reward. Merril Edge explained that over time your savings will compound. "Save as much money as early as possible for the best results." "Especially if you're just beginning to put money away for retirement, start saving and investing as much as you can now, and let compound interest-the ability of your assets to generate earnings, which are reinvested to generate their own earnings-have an opportunity to work in your favor," the website explained. There's more than one way to contribute to your future. When it comes to retirement savings, there is an array of specialty account types designed for retirement savings. Talk to your business or bank about what your options are. Should you match your business' contribution? Should you open your own 401k? IRA? Many of these accounts have specific tax restrictions. Make sure you know the what the tax implications are for each account or you might be forced to pay a heavy penalty for taking money out prematurely. Because of the tax penalties for withdrawing before retirement, it can be a smart option to create an additional and separate bank account to save for unexpected life events. Whether it's a death, natural disaster or sudden unemployment, an additional savings account can protect yourself and your retirement from unnecessary financial pain. 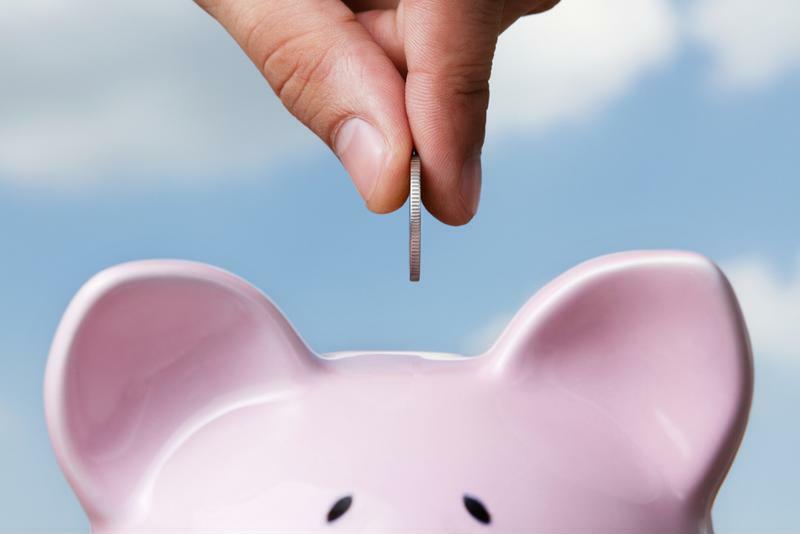 CNN Money explained that you should establish realistic goals for your savings off the bat. Rather than focusing on what websites or news sources say you should be saving, create a dynamic goal that takes into account your desired lifestyle in retirement and your current finances. Eventually, you should work with your accountant or financial advisor to understand how to meet your goals, whether through stocks or greater savings.